Indy’s Cultural Districts and Commercial Corridors are getting a lot of attention these days – and increasing promotion and investment from the city. To our north, communities are heavily investing in place-making, such as the Carmel Arts & Design District. There are six well branded “Cultural Districts” in Indy. 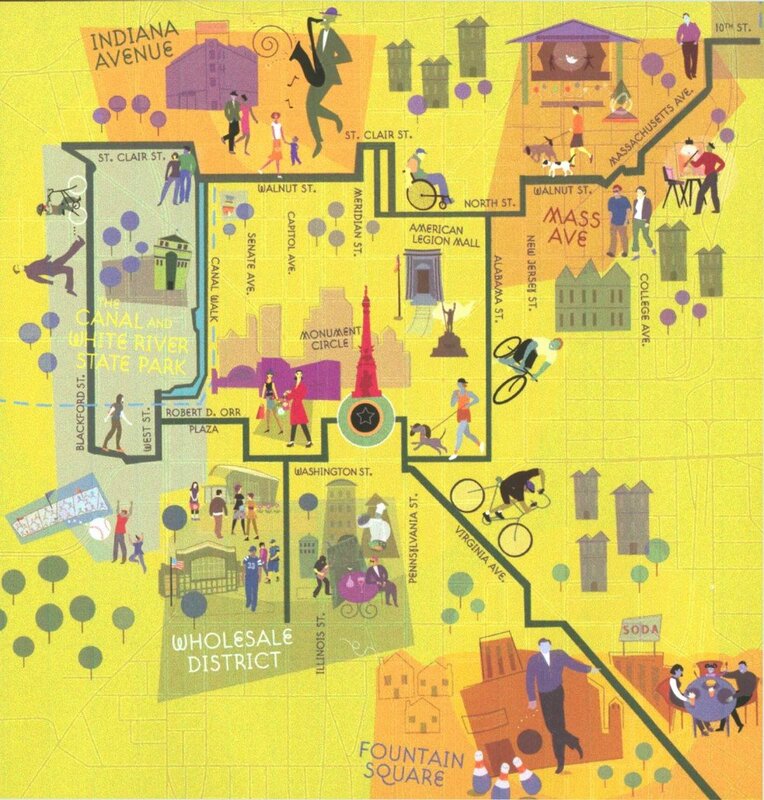 The Indianapolis Cultural Development Commission has successfully labeled, branded, and marketed each area. Several emerging residential and commercial districts are gaining a lot of attention, too (and investment). Indy will continue to promote and expand Cultural Districts and small business corridors, such as Irvington, 49th and Penn, MidTown and Holy Cross to name just a few. Did you know that Indy’s place-based initiatives are largely community led? As the Nora Alliance explores where Nora fits in, valuable insight is gleaned by looking at what others have done – and they’re not just downtown either. Most have completed detailed community studies, developed their local vision, and created action plans (sometimes with the assistance with community advocacy groups like LISC). Many have successfully advocated development and improvement plans, some have created TIF districts, sponsored visual branding and community events, promoted local merchants, and more.